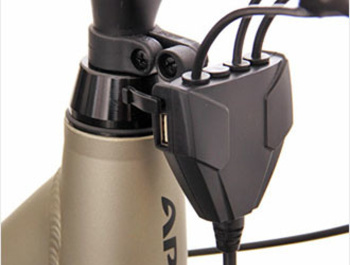 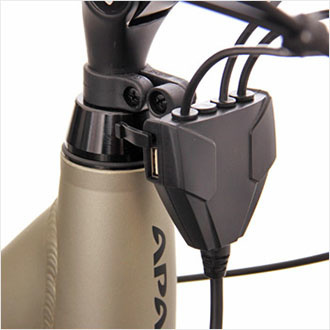 USB socket for the Apache Power System on the front or rear wheel. 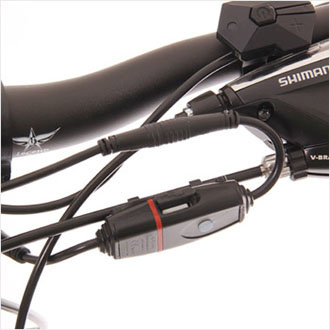 Apache Power can be extended with a USB socket located on the handlebars. 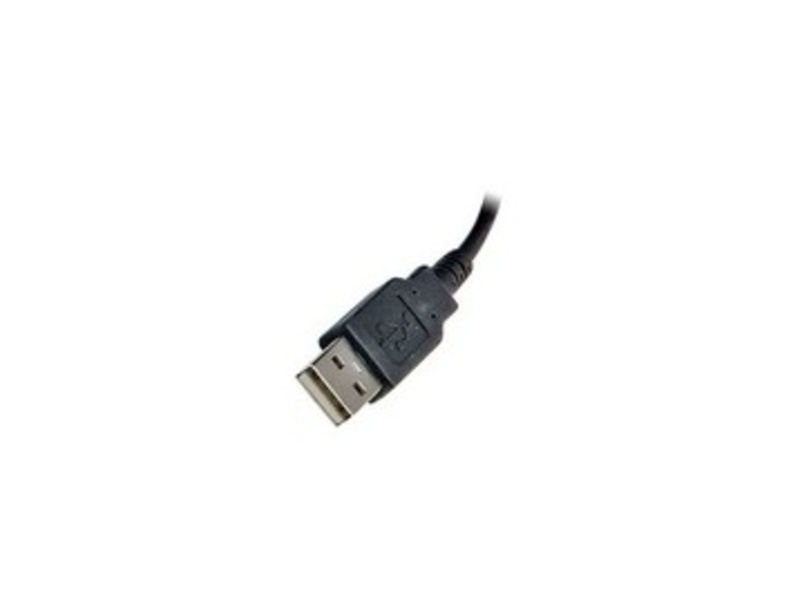 The output voltage of the USB socket is 5V. 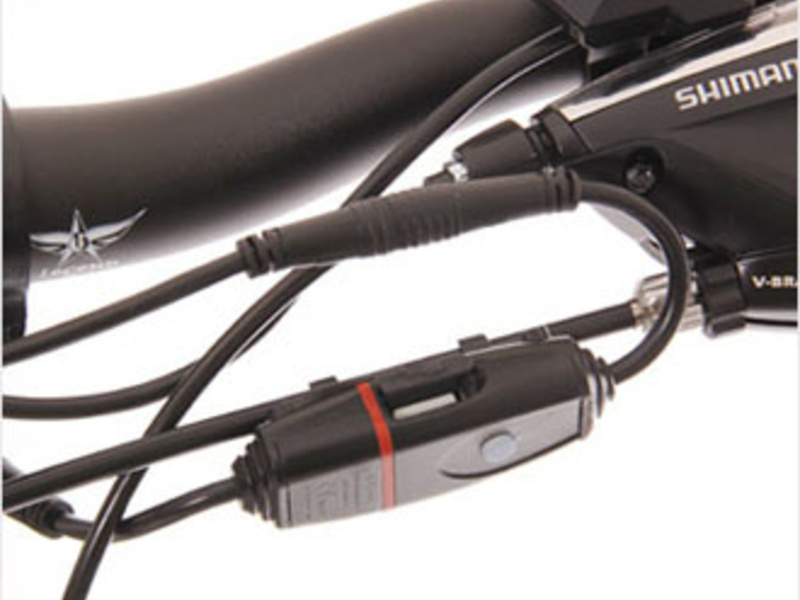 If the brake lever or brake sensor is used, the USB socket is integrated into the combi box. If the combining box is not used, the USB socket is connected between the LED control panel / LCD display and the EB-BUS cable leading into the control unit.